In this probing dark comedy, a South Florida couple obtains the services of a somewhat enigmatic Canine Relations Specialist in order to curb the violent behavior of their dog, Carrot, but gradually learn that their dog may merely be a reflection of their household. 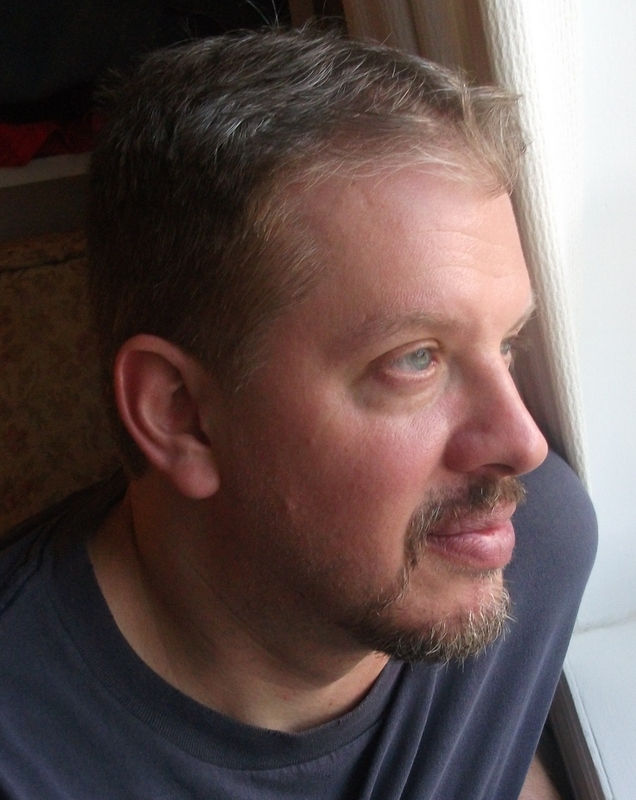 Daniel Damiano is an award-winning playwright, award-nominated actor, and published poet based in Brooklyn, NY. 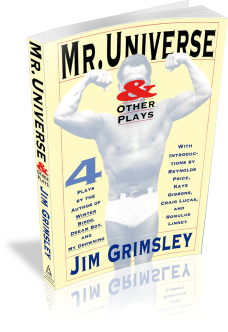 His plays have been produced throughout many areas of the U.S. as well as London, England and Sydney and Melbourne, Australia. 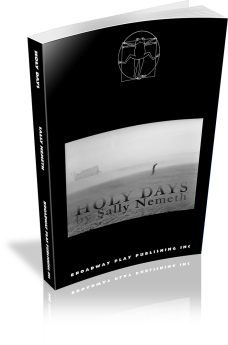 Recent productions of his plays include THE GOLDEN YEAR ("Beautifully crafted." —Times Square Chronicles.) and THE DISHONORABLE DISCHARGE OF PRIVATE PITTS ("This play is a heroic underdog that points a dirty yet necessary mirror back at its viewers." —Center on the Aisle.) 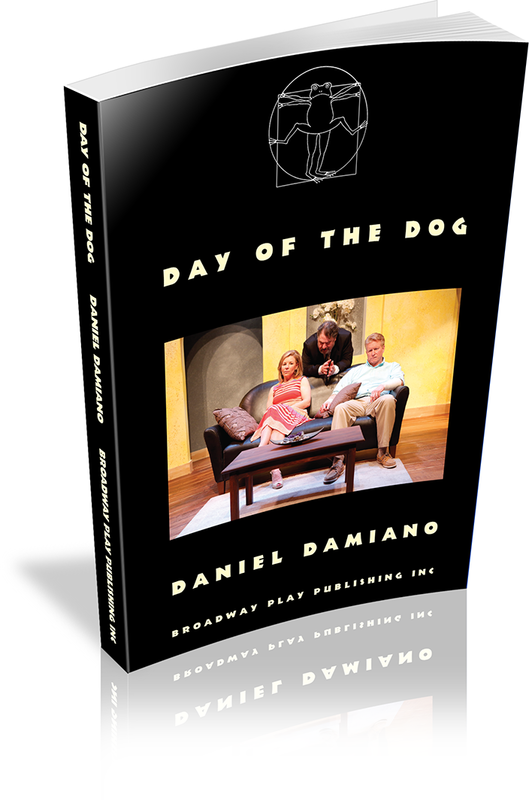 DAY OF THE DOG (St. Louis Theatre Circle Award Nominee for Best New Play, 2013) received two acclaimed productions with St. Louis Actors' Studio in 2013 and then in its NYC transfer to 59E59 in 2014. 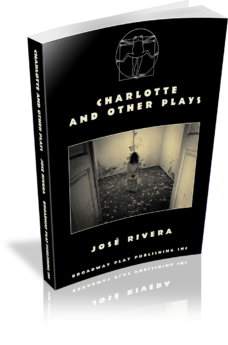 He has been the recipient of the Christopher Brian Wolk Award, among other awards, as well as a nominee for the 2013 Pushcart Prize for Poetry and a Finalist for the 2011 Arts & Letters Prize for Drama and a Finalist for the Fulton Theatre Discovery Project Award in 2012. 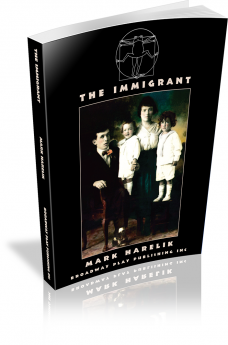 His play HARMONY PARK was a 2017 Finalist for Kitchen Dog Theatre's New Works Festival and in 2018 received its acclaimed World Premiere with Detroit Repertory Theatre ( "4 Stars — HARMONY PARK is the kind of work that demands post-play conversation on the ride home and long after after. It could easily find its way to a run on or off Broadway." —Detroit Free Press.) He has performed his latest solo play, AMERICAN TRANQUILITY, at various venues in NYC, including the 2018 Downtown Urban Arts Festival, and for a 6 week extended run at the East Village Playhouse in NYC, produced by fandango 4 Art House ( "4 STARS … an exceptional piece of theatre." —All About Solo.) Daniel will be again be performing AMERICAN TRANQUILITY as part of the Capital Fringe Festival in Washington, DC in July 2019. 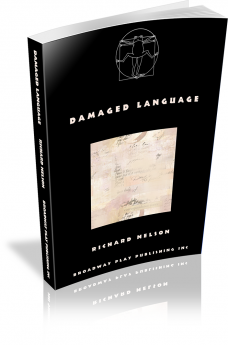 He is a proud member of the Dramatists Guild, The League of Independent Theatres, Mind The Gap Theatre Company, and is Co-Founder/Artistic Director of fandango 4 Art House. Neighboring families representing two very different social classes are brought together during a storm. 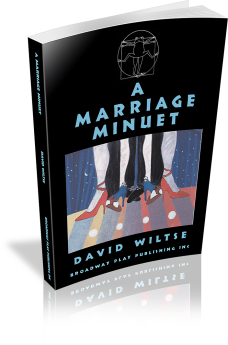 A MARRIAGE MINUET tells the witty tale of two married couples who know the temptations of monogamy all too well. For these middle-class suburbanites, flirtation leads to temptation, and temptation leads to infidelity. Five sophisticated characters provide a theatrical glimpse into the never-ending dance that we call marriage. A wild black comedy, set underground in a luxury subterranean condominium, designed to withstand nuclear and economic catastrophe. New Yorkers Len and Sheila visit their old friend Bev in her honeymoon home, which happens to be under the Utah desert. Bev has married Roy, a handsome charismatic psychotic, who happens to be an isolationist who has stocked his underground condo with enough DVDs, gourmet meals, and liquor to last ’til the next millennium. They don’t need a war to destroy themselves. The two married couples clash and burn as adultery and mayhem erupt. An elegy for the lost souls in the dying plains of Kansas, 1936, who clung to their blighted homesteads like bees to a poisoned hive. Bob and Lily Baker get together with Sam, Bob’s best friend, and Molly, Sam’s wife, for a 15th wedding anniversary. 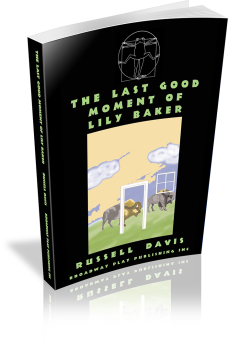 What is intended as a celebration of enduring companionship begins to be undermined by a sense of misgiving and a strange sadness that seems to have befallen Lily. This is a tale of a difficult, challenging weekend, during which two marriages seem on the brink of collapse. But it is also the weekend when Bob and Lily Baker fall in love with each other again. Melissa figures she has everything: a thriving career, a devoted partner (who never overstays his welcome), and the freedom to enjoy whatever and whomever else she wants. 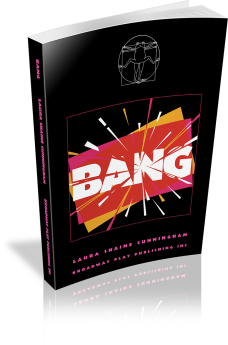 But when an unexpected visitor brings equally unexpected news, Melissa's rollicking life turns into comic confusion, replete with surprising twists and a tantalizing resolution. 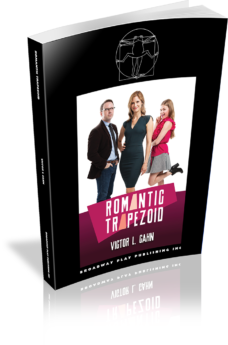 A romantic comedy with a Sci-fi twist. Troubled lovers, Roger and Susan, visit rural Vermont to work on their relationship. 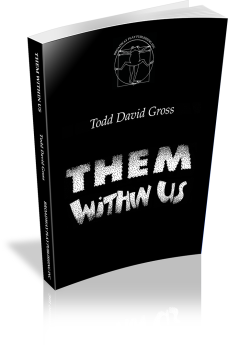 Possession by aliens was not on their list of problems … until they got there. 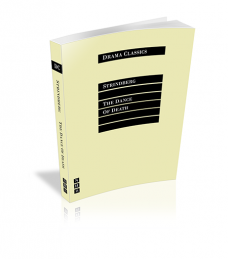 Strindberg’s chilling anatomy of a marriage — in which the two partners duel with each other until one is utterly defeated. Edgar and Alice, embittered husband and wife, live on an army base on a Swedish island: Alice calls it “Little Hell,” and it’s about to get worse. Written in 1900, THE DANCE OF DEATH is full of destruction and bitterness, laced with grim humor.